Think you have to travel to New York City with a group to have fun? Think again. Whether you're planning a completely solo trip to New York City or you have a few hours or a day away from your group, the city has a lot of fantastic ways to spend time on your own, no matter what your interests are. While being alone in the big city can seem daunting, you'll find that striking out solo gives you more opportunities to take in New York's world-class museums, dine out at the trendiest restaurants (which are almost impossible to get into with a big group!) 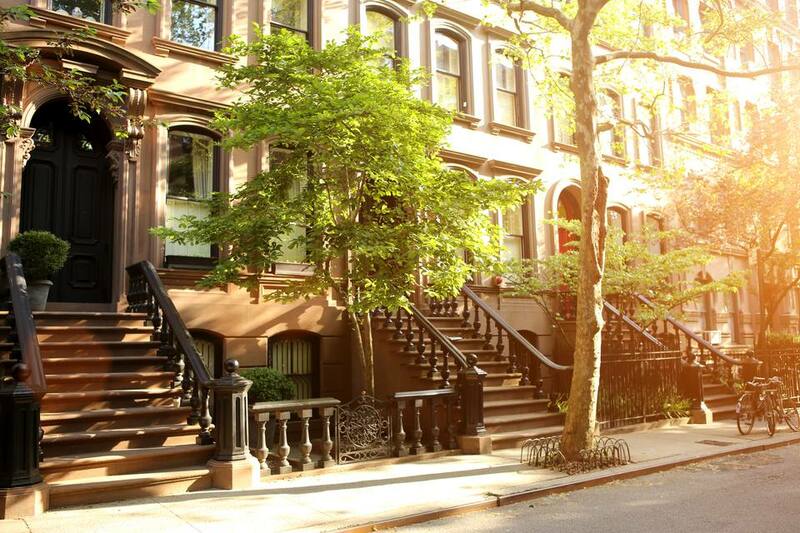 and merely meander through landmarked neighborhoods, all at your own pace. New York City is home to some fantastic art museums, which are lovely to visit alone. At the Frick Collection on the Upper East Side, you can see paintings, sculptures, and decorative arts pieces inside Henry Clay Frick's mansion which is now home to the museum. Docent talks and an audio tour are included with the price of admission. Want to enjoy a great meal without the hassle of securing a difficult reservation? Solo diners can dine at the bar (sometimes with minimal wait) at restaurants where reservations are notoriously hard to get. If you're in SoHo, try Balthazar, an always-bustling brasserie. If you like people-watching while you eat, you can't beat the delicious French bistro food and fun atmosphere. Another New York favorite: Gramercy Tavern. Seats in the tavern area (including both tables and the bar) are taken on a first-come, first-served basis and while the tavern menu is a bit simpler than the dining room one, you'll still be able to enjoy classic American cuisine inspired by the season, often using local produce. Want to see New York City from the water? A sightseeing cruise will give you a wonderful sense of the city's landscape and layout. If you're not in a rush, try Classic Harbor Line's three-hour cruise that circumnavigates Manhattan, crossing under all 18 of the island's bridges. Going to see a movie by yourself might not be the first idea that comes to mind, but in New York City you'll be in good company if you're at the movie theater on your own. And lucky for you, you can see whatever movie you want, whether you want to see the latest blockbuster on a big screen, a foreign film or even a new indie movie that hasn't gotten broad release yet. While traditional megaplexes are concentrated in busy parts of the city (think Times Square, Union Square, and Columbus Circle), the city has no shortage of smaller theaters that are always showing exciting films. Among the most popular include the West Village's Film Forum, New York City's only independent non-profit movie theater, and Alamo Drafthouse, a Texas transplant that lets moviegoers dine on special themed menus while they watch the latest blockbuster. Pick a neighborhood, any neighborhood, and get lost wandering and following your instincts on which way to turn. You're sure to see parts of the city that you never would on a tour or even with a friend. Maybe you'll find a spectacular bookstore. Or the perfect café. Or enjoy a beautiful sunset. Some favorites for this activity are ​Greenwich Village and Brooklyn Heights, both of which have beautiful buildings, cobblestone streets, and wonderful places to explore and discover. New York City has no shortage of people watching opportunities. If the weather is nice, you can stake out a spot in Bryant Park, Central Park or Washington Square Park. There are also some great pedestrian areas with seating in Herald Square and Times Square. If you're looking for something indoors, many of the city's best coffee shops, like Stumptown on West 8th Street, have window seating where you can sip your latte and watch the world wander by. Thanks to the city's bike share program, Citi Bike, it's easy to grab a bike for the day (or just a few hours) and explore. Bikes are situated at docking stations through Manhattan, Brooklyn, Queens, and Jersey City, and you can check one out with just a swipe of your credit card. If you want a guided experience, Bike The Big Apple offers small group tours with friendly guides. It's an excellent choice if you're going to dig a little deeper into New York City's neighborhoods. If you're looking for a great way to get an overview of New York City, but don't want to brave the streets all by yourself, a bus tour is an easy and flexible way to see the city. Gray Line's double-decker bus tours are a classic way to experience New York City. Plus, the tours allow you to "hop on, hop off" so they can serve not only as a tour but also as your transportation around the city. You may be surprised at how friendly the other people on tours are and how easy it is to interact with other visitors, so this is a good option whether you're looking to meet people or keep to yourself. Modern art lovers will enjoy visiting the MoMA, which is home to many iconic examples of modern art, as well as exciting temporary exhibitions. Museum admission includes guided and audio tours, as well as film screenings and access to PS1, MoMA's contemporary collection in Queens, within 30 days of entry, which gives you even more art to explore. There's never a bad time to see New York City's Metropolitan Museum of Art, but there are certainly better times for a solo traveler to see the extensive collection without fighting against large tour groups for a glance at Van Gogh's Self-Portrait in a Straw Hat. For a more tranquil look at the Met, visit during the museum's late weekend hours. On Fridays and Saturdays, the galleries are open until 9 p.m.
New York City has no shortage of great coffee shops, and while it's perfectly enjoyable to cozy up in a corner café with a latte and a good book, real caffeine-hounds will delight in the opportunity not only to try some delicious brews but to learn about them as well from the people who make them the best. The popular Blue Bottle, a San Francisco transplant, holds twice-monthly brew classes at its Chelsea location, while Brooklyn-based Toby's Estate offers a comprehensive brew school, covering topics like home brew methods and latte art. For a bibliophile, it's easy to lose yourself in a good book—or bookstore—for a few hours. And while New York City has lost its fair share of local stores to online behemoths and chains, there are still plenty of charming local shops worth your time. Books Are Magic, in Brooklyn's quaint Cobble Hill neighborhood, replaced a long-time favorite, Bookcourt, and regularly hosts authors for talks and Q&A sessions. Other favorites: Soho's McNally Jackson, the quirky Three Lives in the West Village, and the Strand, a haven for used book lovers. If pumping iron at a cramped, crowded gym doesn't appeal to your fitness goals, you'll delight in the fact that New York City is home to tons of unique exercise studios, each offering one-of-a-kind classes. Test your treadmill mettle at Mile High Run Club, or try an upbeat boxing class at the punk-inspired Overthrow Boxing. Yoga lovers will embrace cool vibes and great instructors at Sky Ting Yoga, which has three locations in the city. New York City has tons of high-quality day spas that offer flat rates for admission. While there are ​luxurious hotel spas where you can enjoy a pricey massage or facial followed by a flute of champagne, the city also has plenty of more "casual" options, like the authentic Russian Brooklyn Banya and the East Village's Russian and Turkish Baths. If you head further afield, Spa Castle, in the Flushing neighborhood of Queens, has giant, warm outdoor pools where you can languish for a whole day if you like. If you've been dying to see the Broadway hit Hamilton, think about it this way: your odds of winning the lottery increase as a solo traveler! Other shows are just as enjoyable alone, too, since there's no one to judge you for crying or laughing too loud! Grab a cheap ticket at city's TKTS booths. The city's beaches aren't open year-round, of course, but if you're visiting during the summer months, you'll find New York City beaches to be bustling gathering places for families, group of friends, and singles alike. The classic Coney Island is known for its kitschy boardwalk and the delicious hot dogs at Nathan's Famous, but it's a nice stretch of sand to relax on for a day. In Queens, the Rockaways have beautiful stretches of beach, a selection of restaurants and food vendors, and an affordable ferry that will take you from lower Manhattan directly to the beach. With no one rushing you or sharing their unwanted opinion, a vintage shopping trip is pure pleasure as a solo traveler. Brooklyn's Williamsburg and Bushwick neighborhoods are hot spots for vintage and thrifted goods. You'll find more than 20 eclectic vendors at the weekly Artists & Fleas flea market, Italian vintage at the well-curated Amarcord, and men's (and women's) work clothes at Quality Mending Co.
New York City has a considerable number of art galleries, most of which are concentrated in Manhattan's Chelsea neighborhood, between 10th and 11th Avenues. Admission to most of the galleries is always free, making it a great (and affordable) way to see some of the city's best up-and-coming artists. Time your visit for Thursday evening, when all of the galleries open their new exhibitions, often serving complimentary wine and cheese for noshing.